A new series from University of Michigan Press, Music and Social Justice is actively seeking projects engaging with the dynamic roles of music, sound, artists, and activists within and across agendas of social justice, past and present. We are interested in how music and musicians make and unmake worlds, nations, communities, and bodies. We welcome monographs, edited volumes, graphic novels, multimedia formats, and alternative modes of scholarly-creative endeavors. And we are open to prospective authors who wish to challenge the rhetorical, discursive, and presentational norms of academic prose in the name of experimentalism, outreach, anti-capitalism, anti-colonialism, and neurodiversity. Music and Social Justice was launched by series editors William Cheng and Andrew Dell'Antonio in 2017. We are also thrilled to welcome the first round of Advisory Board members, whose broad and varied expertise will greatly benefit this endeavor: Naomi André, Suzanne G. Cusick, Ellie M. Hisama, Mark Katz, Alejandro L. Madrid, Darryl "D.M.C." McDaniels, Carol J. Oja, and Shana L. Redmond. Meet the team below and go to Submissions for more information. William Cheng (@willxcheng) is Assistant Professor of Music at Dartmouth College. He is author of Just Vibrations: The Purpose of Sounding Good, Sound Play: Video Games and the Musical Imagination, and (forthcoming from Oxford UP) Why Listening to Beethoven Makes Me Feel So Respectable (and Other Vices of Musical Judgment). His writings have appeared in Critical Inquiry, Cambridge Opera Journal, Ethnomusicology, 19th-Century Music,Journal of the American Musicological Society, Washington Post, Slate, TIME, and Huffington Post. He serves on the boards of Journal of the Society for American Music, Music & the Moving Image, Women & Music, Ethnomusicology Review, Sensate, and Sound Studies. Andrew Dell’Antonio (@dellantonio) is Distinguished Teaching Professor in the Musicology-Ethnomusicology Division of the Butler School of Music and Associate Dean of Undergraduate Studies in the College of Fine Arts at the University of Texas at Austin, USA. He is a former Mellon Fellow at the Harvard-Villa I Tatti Center for Renaissance Studies in Florence, Italy. His research explores how different modes of listening—from 1500s to present—influence music's social uses and cultural meanings. His publications include the edited collection Beyond Structural Listening? Postmodern Modes of Hearing and the monograph Listening as Spiritual Practice in Early Modern Italy. He blogs at The Avid Listener and is co-author of the textbook The Enjoyment of Music. Naomi André is Associate Professor in the departments of Afroamerican and African Studies and of Women's Studies at the University of Michigan, where she also serves as Associate Director in the Residential College. She is the author of Voicing Gender: Castrati, Travesti, and the Second Woman in Early Nineteenth-Century Italian Opera and coeditor of Blackness in Opera. Her forthcoming book is Black Opera in the US and South Africa: History, Power, and Engagement. She has served on the Harvard GSAS Graduate Alumni Council, the Executive Committee for the Criminal Justice Program at the American Friends Service Committee, and Fulbright Senior Specialist evaluator. Suzanne G. Cusick is Professor of Music at New York University and incoming President of the American Musicological Society. She is author of Francesca Caccini at the Medici Court: Music and the Circulation of Power. 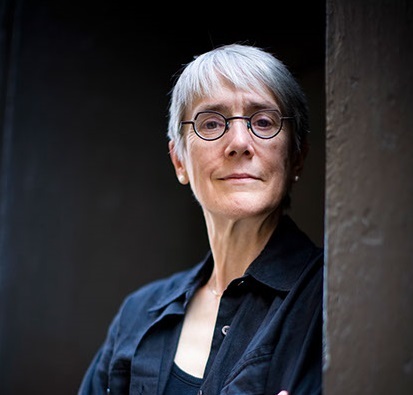 Her pathbreaking work on gender, sexuality, performance, politics, and sonic violence has appeared in outlets such as the Journal of the American Musicological Society, Early Music, Musical Quarterly, Repercussions, Perspectives of New Music, Early Modern Women, TRANS, and the Journal of the Society for American Music. From 2005 to 2013, Cusick was the Editor in Chief of Women and Music: A Journal of Gender and Culture. 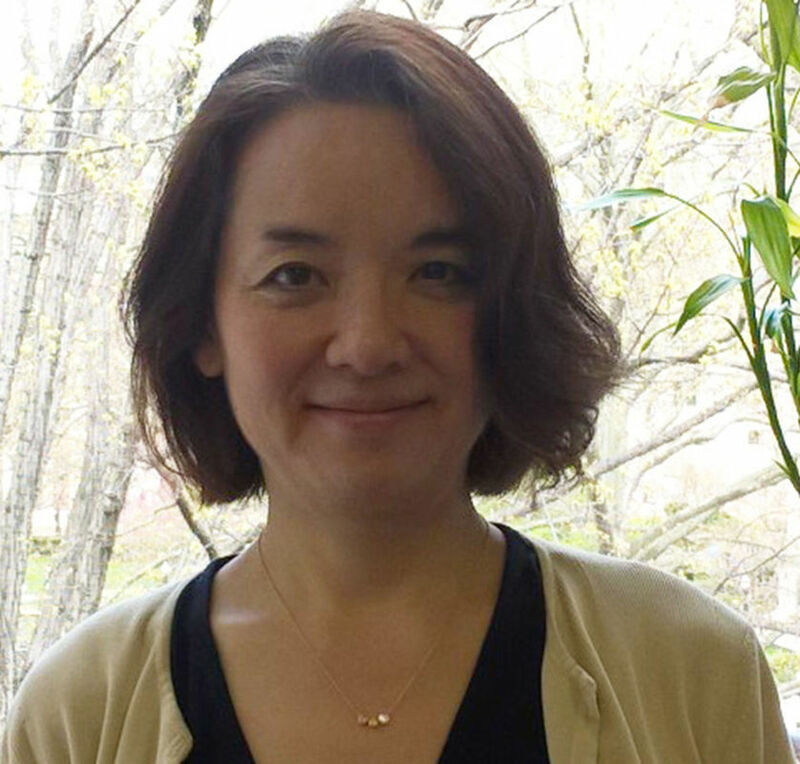 Ellie M. Hisama is Professor of Music and Executive Committee member of the Institute for Research on Women, Gender, and Sexuality at Columbia University. She is the author of Gendering Musical Modernism, as well as the co-editor of Ruth Crawford Seeger’s Worlds and Critical Minded: New Approaches to Hip Hop Studies. Hisama is the primary investigator for a new project For the Daughters of Harlem: Working in Sound, which will offer opportunities for girls and young women of color to engage with music—as composers, improvisers, sound artists, and thinkers—under the guidance of faculty, graduate students, and guest session leaders. Mark Katz is Ruel W. Tyson, Jr. Distinguished Professor of Humanities at University of North Carolina at Chapel Hill. His books include Capturing Sound: How Technology Has Changed Music, Groove Music: The Art and Culture of the Hip-Hop DJ, and The Violin: A Research and Information Guide. With U.S. Department of State funding, Katz created the program Next Level, which, since 2014, has sent American hip-hop artists abroad to foster cultural exchange, conflict prevention, and entrepreneurship. His work in promoting arts education in underserved communities has been recognized by the Freedoms Foundation, the Hip-Hop Education Center, and Indy Week. Alejandro L. Madrid is Professor of Music and Latina/o Studies at Cornell University. His research focuses on the intersection of modernity, tradition, globalization, and identity in popular and art music, dance, and expressive culture from Mexico, the U.S.-Mexico border, and the circum-Caribbean. Among Madrid's award-winning books are In Search of Julián Carrillo and Sonido 13, Danzón: Circum-Caribbean Dialogues in Music and Dance (with Robin Moore), and Nor-tec Rifa! Electronic Dance Music from Tijuana to the World. In 2017, Madrid became the first Latinamericanist/Hispanist scholar to receive the Dent Medal of the Royal Musical Association. 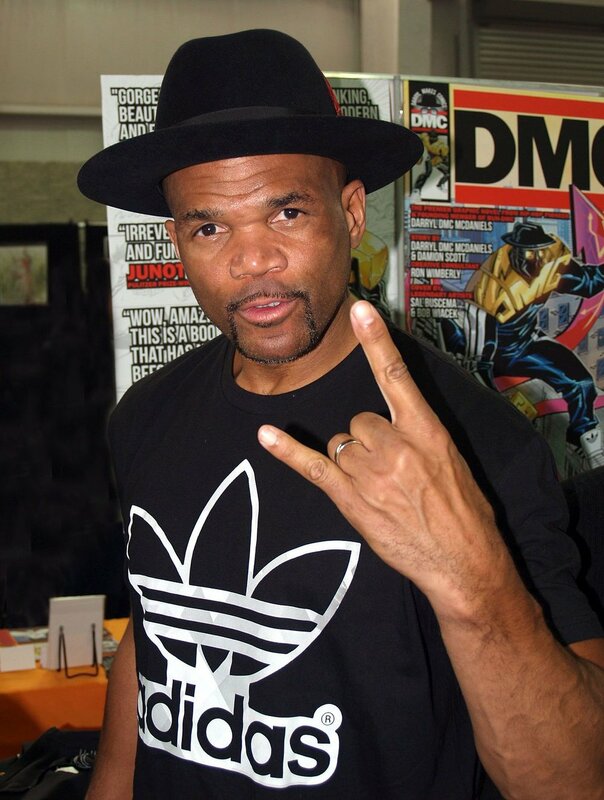 Darryl “D.M.C.” McDaniels is a musician and founding member of the hip-hop group Run-D.M.C., whose groundbreaking albums include Run-D.M.C., King of Rock, and Raising Hell. McDaniels is the author of King of Rock: Respect, Responsibility, and My Life with Run-DMC, and Ten Ways Not to Commit Suicide: A Memoir. In 2014, McDaniels launched a comic book imprint, Darryl Makes Comics, with Edgardo Miranda-Rodriguez and Riggs Morales. McDaniels is the recipient of the 2006 Congressional Angels in Adoption Award, and serves on the Board of Directors of Children’s Rights, a national watchdog organization that reforms failing child welfare systems. Carol J. Oja is William Powell Mason Professor of Music at Harvard University. With research spanning 20th- and 21st-century American musical traditions, she is the author of Bernstein Meets Broadway: Collaborative Art in a Time of War, Making Music Modern: New York in the 1920s, and Colin McPhee: Composer in Two Worlds, as well as editor of several works. Oja has held fellowships from the John Simon Guggenheim Memorial Foundation, the National Humanities Center, the Mellon Foundation, and the National Endowment for the Humanities. She is past President of the Society for American Music, from which she received the 2015 Distinguished Service Award. Shana L. Redmond is Associate Professor of Musicology at UCLA’s Herb Alpert School of Music. As an interdisciplinary scholar of music, race, and politics, Redmond researches music’s roles in the liberation politics and social movements of the African world. She is the author of Anthem: Social Movements and the Sound of Solidarity in the African Diaspora, and coeditor of Critical Ethnic Studies: A Reader. Her articles have appeared in Black Camera, Black Music Research Journal, Race & Class, Journal of Popular Music Studies, African and Black Diaspora, NPR, Huffington Post, Boston Review, Truth-Out, and The Feminist Wire. Mary C. Francis is Editorial Director of the University of Michigan Press/Michigan Publishing; in addition to directing the editorial team, she acquires books in music, media studies, as well as projects for Michigan's digitalculturebooks imprint. Prior to coming to Michigan, she was Executive Editor at the University of California Press for more than fifteen years, and has also worked at Oxford University Press, Mayfield Publishing, and Yale University Press. She will be working closely with the Music and Social Justice Series Editors and Advisory Board members. Read her concise advice for scholarly publishing and the elevator pitch in Musicology Now.